Cary, NC – Feb. 7, 2019 – Material developments, preservatives, sustainability, market data, international tariffs, and plastics in the environment are among the premium topics to be presented to wipes brand owners, converters, and their entire professional wipes supply chain at INDA’s 13th edition of the World of Wipes® (WOW) International Conference, June 24-27 in Atlanta, GA. Among the highlights of WOW 2019 is the prestigious World of Wipes Innovation Award®, The award recognizes a product or technology innovation within the entire wipes value chain that expands the use of nonwoven fabrics and demonstrates advancements in creativity, novelty of approach, uniqueness, and technical sophistication. Nominees are selected from a broad range of industry categories including raw materials, roll goods, machinery, converting, packaging, lotions, active ingredients, binders, additives, and end products. 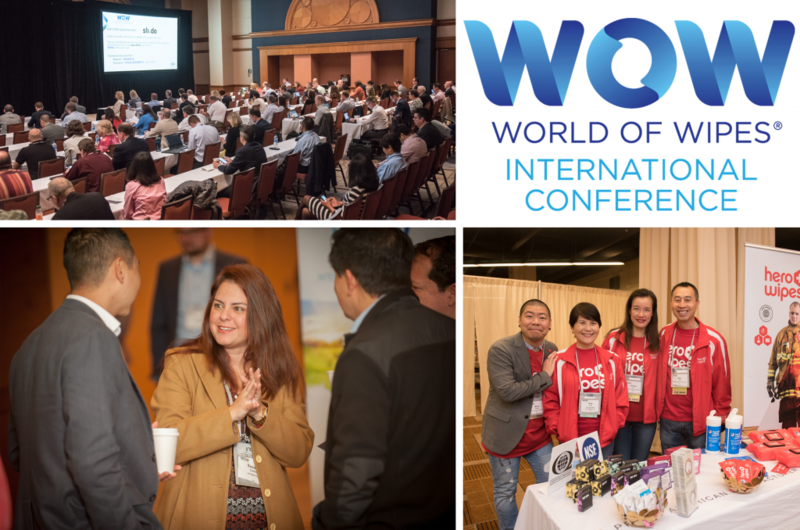 Three finalists will be chosen to present their innovation at WOW 2019 with the winner announced Thurs., Jun. 27th. INDA is currently accepting nominations through Mar. 8th for the World of Wipes Innovation Award®. Online nominations may be submitted via https://www.worldofwipes.org/award.html. INDA, the Association of the Nonwoven Fabrics Industry, serves hundreds of member companies in the nonwovens/engineered fabrics industry in global commerce. Since 1968, INDA events have helped members connect, learn, innovate, and develop their businesses. INDA educational courses, market data, test methods, consultancy, and issue advocacy help members succeed by providing them the information they need to better plan and execute their business strategies. For more information, visit inda.org, or download the INDA mobile app for immediate updates.